This picture was taken during a Chembra trek, from the top of the peak. 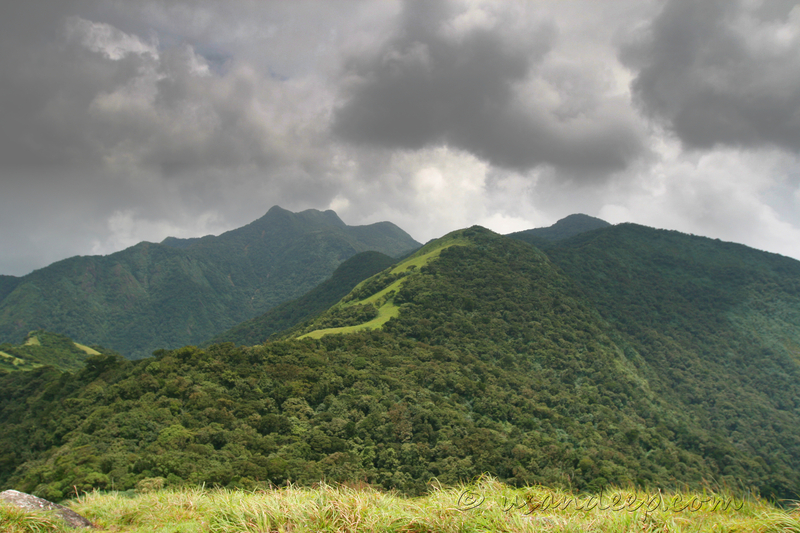 Chembra is supposed to be the tallest peak in Wayanad and it was quite surprising to see taller hills near by. After comparing these pics with the Google Earth imagery, it was quite obvious that the peak I climbed (and almost everybody else who goes through forest department) goes to a 1850m peak and not the tallest in Wayanad. I eventually managed to go to this 2100m peak from Kozhikode side after an adventurous trek from Muthappanpuzha.